Circus Skills Workshops for Ilkley Schools and events, Days with our Circus Tents and lots more. Days with our Beautiful Big Tops are an experience the children will never forget. Everyone sees a Comedy Circus show in the tent, everyone has a go at a Circus Skills workshop. From as little as £3 per child! Alternatively, Circus Skills Workshops WITHOUT our Circus tent include a show/demonstration of Circus skills, plus Circus Skills workshops for each class. For Nursery upwards and for up to 320 children per day. £295+travel+VAT. "Just wanted you to know what an amazing day both children and adults had on Wednesday. The children came back to class animated and there was a definite buzz about circuses, from both boys and girls. The peacock feathers are definitely a hit. The adults enjoyed the difference of the activity and the obvious exhilaration the children experienced." Rosalind Brock, St. Catherine’s School, Swindon. Recent Scientific research has shown the value of Circus Skills and other physical skills in an educational environment. It has been recognised that the core skills which are utilised and developed when we learn and practice a challenging and creative activity such as Circus skills, can then be carried over into the more academic areas of education. "Complex tasks such as juggling produce significant changes to the structure of the brain, according to scientists at Oxford University. Activities such as Circus skills have been used with great success as an educational tool, as an aid to learning as well as therapeutically with children at risk and with children with special needs. Autistic children have been observed to respond particularly well to Circus skills in schools. Circus skills are an opportunity for children and adults to discover and develop skills such as Concentration, Information retention, Concept visualisation, hand eye co-ordination and self awareness. These skills can then be used in many other settings including social situations and in conventional educational settings whilst learning the core subjects. Circus Sensible have worked in Schools in Ilkley and all over the UK, as well as community groups, charities and festivals for over 25 years, during which time we have been lucky enough to develop close working relationships with some of the very best tutors and performers in the industry. As a result we have a highly experienced team, who bring a wealth of cultural, performance and social experience to every aspect of engaging with young people, and teaching them core skills in a safe and encouraging, and above all, fun environment. We can teach not just Circus skills, but we also run Percussion workshops, Dance workshops, Arts and Caricature workshops and lots more Schools workshops in a variety of skills. All our workshops and Activity Days are available in Ilkley and all over the UK. Burnley Brow School, Oldham, Circus Skills workshops, Circus Shows with our Circus Tents. Dovery Down School, A Day with our Circus Tent including Circus skills and shows. Bengeo Primary School, Circus Tent, Circus skills workshops, Circus shows. Parkwood Academy, Circus skills workshops over three days. St Stephen’s School, Audenshaw, Circus skills workshops. Hook Primary School, Circus skills workshops. Swindon Academy, Circus Tent, Circus skills workshops, Circus shows. Skinner Street Primary, Circus Tent, Circus skills workshops, Circus shows. Weyden Secondary School, Circus skills workshops. Westminster School, Bradford, Circus skills workshops. St. Mary’s Primary School, Consett, Circus skills workshops. Haberdashers Askes Crayford Academy, Circus skills workshops. 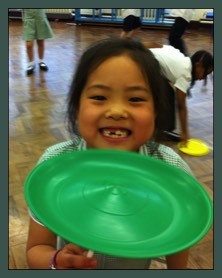 Dulverton Primary School, New Eltham, Circus skills workshops. Cubitt Town Infants School, Circus skills workshops. Our Lady Queen of Peace Catholic Primary, Circus skills workshops. Robin Hood Primary School, Circus skills workshops. Wigton Moor Primary School, Leeds, Circus Tent, Circus skills workshops, Shows. Dolphin School Summer Fayre, Big Top, Shows and Circus skills workshops. St Mary’s CE School, Oldham, Big Top, Circus skills workshops and Shows. Rendcomb College Junior School, Circus skills workshops. Sacred Heart Catholic Primary, Ilkley, Circus skills workshops. Bishop Heber School, Chester, Circus skills workshops. 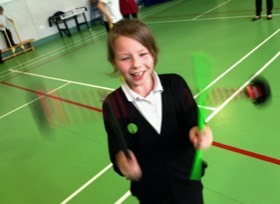 Our Lady of Lincoln Primary, Circus skills workshops. Delph Primary School, Circus Tent hire, Shows and Circus skills workshops. Newhall Park School, Bradford, Circus Tent hire, Shows and Circus skills workshops. Osmaston Primary School, Circus skills workshops. St Wystan’s School, repton, Circus skills workshops. Gayton Primary School, Circus skills workshops. Whitehall School, Circus in Schools, Circus skills workshops. Butlers Court School Summer Fair, Circus Shows, Circus skills workshops, Balloon Modelling. St Bernards School, Burnage, Circus in Schools, Circus workshops. Thistley Hough High School, Circus Tent hire, Circus skills. Thorpe Primary, Peterborough, Circus Tent, Circus skills and Shows. Sibford School, Banbury, Circus tent, Shows and Circus skills workshops. Norfolk Lodge Montessori School, Circus skills workshops. Hyde Clarendon College, Circus skills workshops, Circus tent hire and Shows. 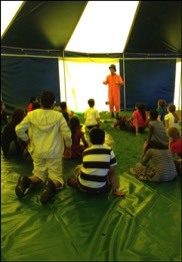 Heathrow Primary School, Big Top Hire, Circus skills, shows in the tent. Pictor School, Sale, Circus Tent hire, Circus skills, Circus shows. Oakhurst First School, Circus in Schools, Circus skills workshops. Radcliffe Riverside, Circus Tent, Circus Shows and Circus skills workshops. Oakhurst Primary School, Circus skills workshops, Circus in schools. 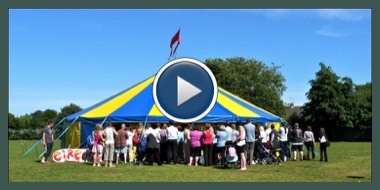 Worthington Primary School, Leicester, Circus tent, Shows and Circus skills. St Agnes RC Primary, Circus skills workshops in School. 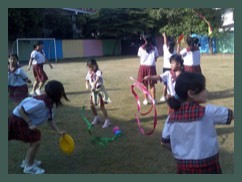 St. Paul's CE Primary School, Circus Tent, Shows and Circus skills. Moorside Primary School, Swinton, Circus tent, Circus skills workshops. Trinity School, Nottingham, Circus in Schools, Circus skills workshops. Greenfield School, Circus skills workshops. Bradley Nursery School, Circus skills workshops in School. Attleborough Junior School, Circus skills workshops. Riders Infant School, Circus Tent hire, Circus skills workshops, Comedy Circus. Our Lady and Saint Benedict Catholic School, Circus in Schools, Circus skills day. Ladbrooke JMI School, Circus for Schools skills day. St. Anne's School, Caversham, Circus in School, Circus skills day. Carrington Junior School, Circus skills workshops. St Thomas Primary, Huddersfield, Circus Tent, Circus skills workshops and shows. Rose Hill School, Marple, Circus Tent, Circus skills workshops and Shows. Leigh Primary School, Circus day including Circus skills workshops. Woodham Burn Junior School, Circus skills workshops. Oakwood Park School, Big Top hire, Circus Shows, Circus skills in School. Great Bedwyn Primary School, Circus Tent with Shows and Circus skills workshops. St. Bedes School, Redhill, A Day of Circus skills workshops in School. Forefield Infants School, Circus skills workshops. Eastover School, Circus skills workshops. Birchensale Middle School, Circus in Schools, Circus skills. Christ Church C Of E Primary School, Circus skills workshops. Alder Community High School, Hyde, Circus skills workshops. Town Farm Primary School, Circus tent, Circus skills, Circus shows. Dedworth Green School, Windsor, Circus skills workshops. St. Edwards School, Lees, Circus skills workshops. St. Mary's Primary, Tunstall, Circus skills workshops. Heron Park Community Primary, Eastbourne, Circus skills workshops. Smithy Street School, Stepney, Circus workshops in schools. Adlington Primary School, Circus workshops in school. Diggle School, Oldham, Circus skills workshops. St. Joseph's College, Trent Vale, Circus skills workshops. Janet Duke Primary School, Basildon, Circus skills workshops. Above are just a few examples of venues and events in Ilkley and the rest of the UK from the last year. We have run Circus skills workshops in well over two thousand Schools over the years, in Ilkley and the UK, Ireland and abroad, and days with our Big Tops at almost as many. Our Circus tents are also available for hire, and we can provide many other types of workshops for schools including Drum workshops, Dance workshops and Art workshops. If you need more information about our Circus workshops for schools in Ilkley or any other aspect of our schools workshops, please contact us. Circus Skills workshops in Schools are suitable for Nursery, Primary, Secondary Schools and Colleges and can be integrated into many areas of the School curriculum. All our staff are very experienced, have a wide range of Circus and performance skills and have CRB certificates. We have full Public Liability Insurance and can supply Risk Assessments on request. Circus Sensible also run many other workshops in Ilkley schools, such as Percussion workshops, African Dance workshops, Caricature workshops and Magic workshops. For details of all our Schools workshops in Ilkley and the UK please explore our website or send us a message. Circus skills workshops in schools offer a huge range of benefits to children and adults of all ages and abilities. Often a Circus workshop in school is the only chance a child will have to have a go at these skills. Perhaps the greatest benefit of having a go at Circus skills is that almost anyone can achieve so much in such a short time, giving the participant a great sense of achievement and immediate positive feedback from those around them. This leads to a more positive self image and an increase in self confidence in many children. Many of our circus skills workshops also include time for the participants to demonstrate the circus skills they have been learning. Circus skills also help develop and improve concentration skills. This is particularly evident in those children with shorter attention spans. 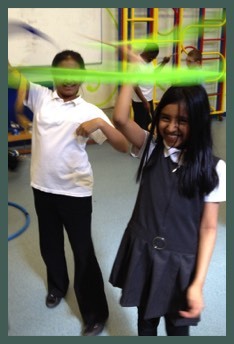 When we run Circus skills workshops in schools the teachers are often amazed that one or more children who usually have a problem concentrating are doing better than anyone else in the class! Learning Circus skills also offers great benefits in terms of physical co-ordination and physical fitness. Circus workshops fit very well into the school curriculum under PE and co-ordination development. In fact there are many areas where Circus workshops offer great opportunities for curriculum enrichment. These are just some of the benefits to be gained from Circus skills workshops. We encourage all these and more whilst always remembering..... CIRCUS SKILLS ARE FUN! 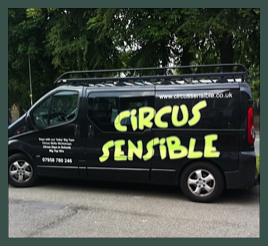 Circus Sensible have been teaching and performing circus skills workshops in schools and at all sorts of venues in Ilkley, the UK and Ireland for over 25 years. We have a huge amount of experience in working with many different groups of all ages and abilities. "John was great right from the start of the day. He had a great way of speaking to the children and made it a fun day for all. Our children thoroughly loved the range of activities he brought and he explained everything in such a simple way that they could all succeed. Really was a pleasure to see them all so focussed and engaged in the day, very worthwhile!" - Rachel Almaliki - Havercroft Academy, Wakefield, Yorkshire. “WOW, what amazing day we had from start to finish. Jon, Neil and Rosie arrived on time and were amazing. The children absolutely loved them and the warm bubbly personalities. The feedback we have had from children, staff and parents has been outstanding. with one child saying " This was the best day of his life and he will never forget it"
Thank you so much we will be booking you again.” - Alan Mulholland, Wharton Primary School, Winsford, Cheshire. “Pete and Gary that came to school today were fantastic! Professional, flexible, funny and extremely talented they engaged children and adults alike and everyone thoroughly enjoyed the day as well as learned to do something new.